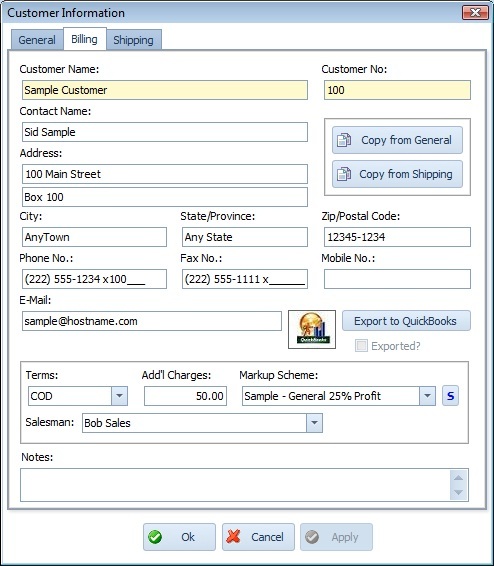 You can directly export Customer information and Estimates/Invoices from the Presstimator to QuickBooks. Within the Presstimator, you can set permissions to enable specific users to export data from the Presstimator to QuickBooks. 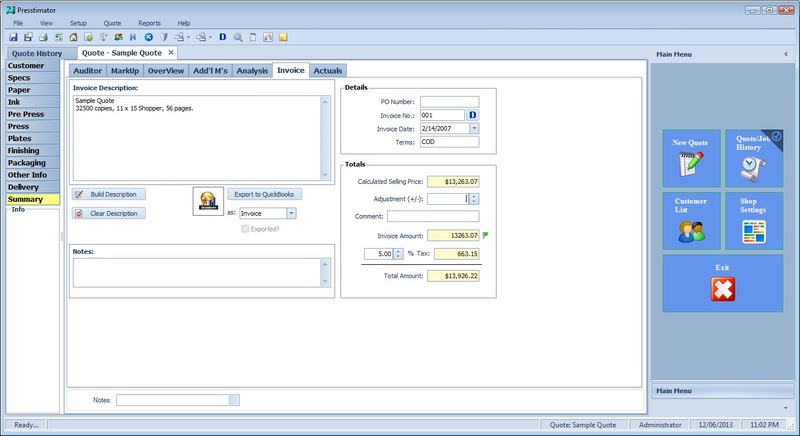 There is an option on the Billing screen in Customer Information to export to the current customer to QuickBooks. The “Exported?” checkbox will indicate whether or not the Customer has already been exported. On the Invoice screen in Summary, there will be an option to export the current invoice to QuickBooks as either an Estimate or an Invoice.Simply select the appropriate option in the dropdown and the Export button will create a corresponding transaction in QuickBooks. This Estimate/Invoice will be associated with the Customer selected for this Quote. If the Customer has not yet been exported, the Presstimator will give you a message to indicate that you need to export the Customer Information first in order for the Estimate/Invoice to be linked to the correct Customer within QuickBooks.